Vincent P. Falk is Fashion Man. 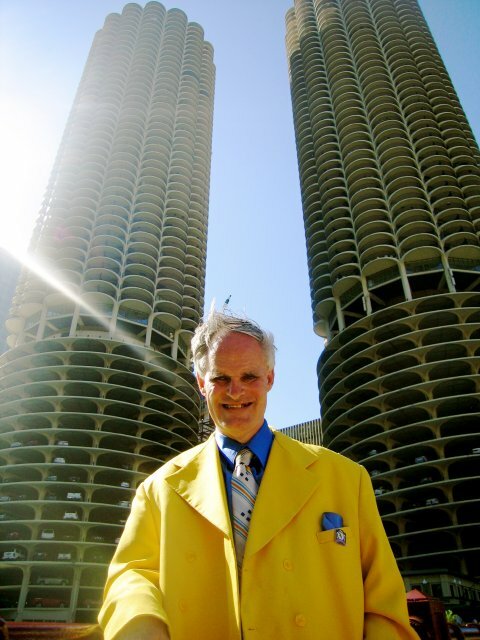 Clad in brightly colored suits, Vincent twirls on Chicago’s many bridges, performing fashion shows for passing tour boats. As he spins his way through the city, tourists and locals alike are left to wonder just who this strange man could be. Over the course of one boat season, we follow Vincent and begin to unravel the mystery that surrounds him. We discover that the man behind the fashion, having come through the travails of life, has decided to do what makes him happy. And so, he spins on.